Kay Morse has been a resident of Covington, Louisiana since the early 1940's. Kay's background before beginning her real estate career was retail and property development. Along with her mother, Ella Hadley, Kay ran a very successful department store in Covington (The Suella Shop) until her mother became ill and needed full time care. Also during those early years, Kay and Ella developed River Bend Lane in Covington along the Bogue Falaya River. Kay raised her four children on the river in a home that was the first to be built on River Bend Lane. In 1986, Kay received her real estate license and quickly grew into a million dollar producer. Kay's reputation for honesty, strong work ethics and care for her clients propelled her into the top tier of RE/MAX agents in Louisiana where she has remained for many years. In 2001, Kay, along with two of her daughters, opened RE/MAX Northlake Associates in Covington fufilling her dream of owning her own franchise. Today, Kay continues to expand her interests in RE/MAX by opening another franchise in Madisonville, Louisiana. Kay's youngest daughter, Candy received her real estate license in 1998 and jumped right into a successful business by bringing her marketing and design background to the team. 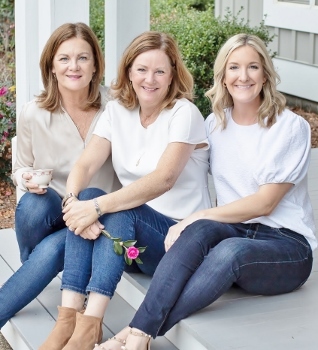 A lifelong resident of Covington, Candy graduated from LSU with a degree in Graphic Design and worked in the advertising and printing industry until she joined her mother and sister in real estate. Her marketing skills have been a tremendous boost in all aspects of properties that are listed by The Morse Team. Candy has experience in photography which really lends itself to showcasing listed properties. In 2006, Candy received her broker's license and is now the broker for both RE/MAX Northlake Associates and RE/MAX Northlake Associates-Madisonville. She and her husband Dan are raising their two daughters in Covington.